Only 35 minutes from DC yet a world away! 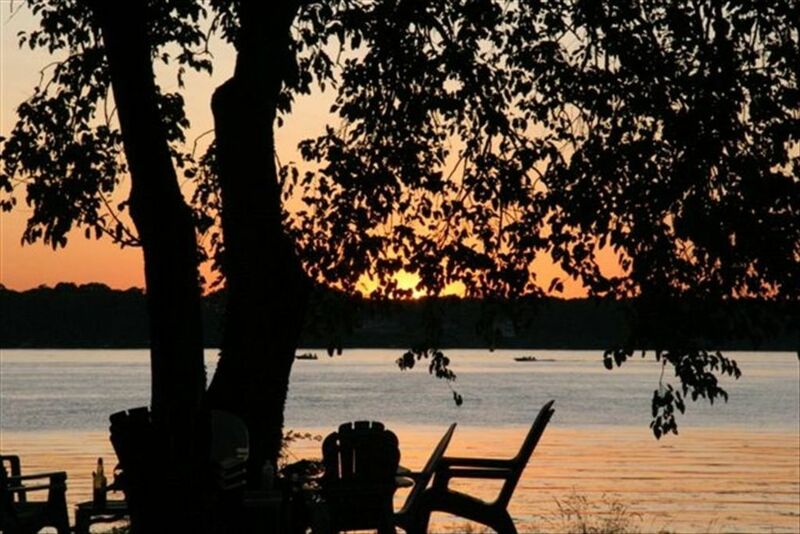 Flat water Kayaker's Heaven, Central air-conditioned 2 bedroom and 1.5 bath waterfront cottage with ten mile sunset view over the Potomac River. Gated compound complete with pier and an electric boat lift, observation tower, and 600 ft elevated walkway along tidal pool. Spectacular eagle and nature watching. Kayaks, canoe etc. all equipment provided. Queen size beds with thermopedic pads. Well-equipped kitchen for your eat-in pleasure. Internet service is included, however, it is a satellite connection and can be effected by weather and it does not support streaming video. Email and normal surfing is possible, but can be unreliable. If you need guaranteed reliable internet service for your stay we recommend bringing a portable WIFI device to accomplish same. Quality of internet connection is not guaranteed or implied. Choice of creek waterfront or river waterfront. Sunrise and sunset view. Our connection is through satellite and is effected by the weather and other issues. It is suitable for normal email and surfing, but does not support video streaming and is subject to latency. Wireless is available but is not guaranteed to work "everywhere" or anywhere for that matter. Satellite signal quality determines quality and availability of wireless service. 7 quart crock pot We have everything needed to cook meals on site. No streaming video is allowed on the internet connection. Use of kayaks, canoe and paddles is included in the rental. We have tried to include everything needed as if you were at home. Please let us know if there is something you would like but do not see on the list of amenities. Great location, hosts, and amenities. We had a great time here. The canoes and kayaks are in good shape and are quality boats, the house had everything we needed. The kitchen is very well stocked with cookware, and the hosts were great as well. The WiFi worked fine for us. The location is absolutely perfect. We saw a ton of birds on the creek, and even took a short paddle on the Potomac. It's a great spot to take kids-there's a ton to do, short paddles are ok because you're already on the water, and the kids will sleep well after a busy day. We hope to make it back here soon! We are always thrilled when our location is a perfect match! You guys are the guests we hope will find us. We loved this cottage on the Potomac, it was so peaceful and had everything we needed. The beds are very comfortable! The treehouse and trails on the property were a dream for my 8 year old son. He cried when we had to leave because he was going to miss it. The drive to the Metro was easy and we took day trips into DC. Our only regret is that we didn’t have a longer amount of time to spend at the house. The view of the river was wonderful. We also didn’t have time to use the kayaks, which disappointed my kids. We hope to come back again. John and Carrie were nice to visit with and answered all of our questions! Your son is not the first kid to cry at departure time. We are always grateful for our guests that are moved by the location. After 15 years, we still wake up thinking we are on vacation. The perfect place to stay, surrounded by nature and sky! A time capsule of wilderness and quiet reflection. Loved it here. The house may look a bit small and dated on the outside but is very nice and well kept inside and surprisingly spacious. The beds are very comfortable. Kitchen has everything you would need for a fish fry :). There's a nice place (bird tower?) to watch birds or sunsets just steps from the front door (this overlooks Pomonkey Creek). A wooden pathway leads from the property to the river (crosses over a small pond with tons of aquatic wildlife). Included with rental are an assortment of kayaks (5) and canoe (1). We enjoyed paddling these to Pomonkey creek (saw multiple bald eagles and herons). During our stay the river was high and discolored from the rain but we still had some good fishing (excellent opportunities for blue catfish right off the dock). The owner is very nice and available for anything you need. I can't wait to come back, thanks! So glad your group was able to enjoy our amenities and the flora and fauna! Please do come back soon. Very secluded, a great place to get away from it all. Plenty of room for the whole family and fully equipped. Saw plenty of wildlife all around the property. A short drive to Alexandria and the Metro station. Our family of 5 enjoyed the time at Fenwick cottage. The owner John was courteous and helpful regarding the area and seeing Washington DC. The cabin was clean and had plenty of room for us an our grown children. We utilized the kitchen for breakfast meals and some dinner meals. The cottage was a nice secluded 'get away' from the busy days of sight seeing in Washington DC. We enjoyed the mornings of kayaking from the dock on the property before starting our daily sightseeing. The trek to DC involved driving to the Eisenhower metro station(~30 min dependent on traffic) and taking the train to the National mall. We enjoyed the cottage and would stay there again. We are located in the northern part of Charles County Maryland on the world famous bass waters of the Potomac River at Pomonkey Creek. We have a 300 degree panorama of the area. The resident bald eagles are here every day of the year. This is prime waterfront with 1000 feet on the Potomac and 1000 feet on the creek. The cottage is a separate private home in gated waterfront compound complete with pier with an electric lift, 24 foot observation tower, 600 foot elevated walkway over tidal pool and sunrise or sunset view. Internet service here is via satellite, our only option, and is not suitable for video streaming, and can be less than reliable. Please bring protable WIFI for your use in case continuous quality connection to the internet is crucial to the enjoyment of your stay.